The eruption of Mount Vesuvious on August 24, AD 79 must have been terrifying to the inhabitants of Pompeii. In less than a day, this thriving Roman city of 20,000 was buried by over 15 feet of volcanic ash. Everything, and everyone who did not escape, lay entombed for 1,700 years until scientists and archaeologists began uncovering it in 1860. 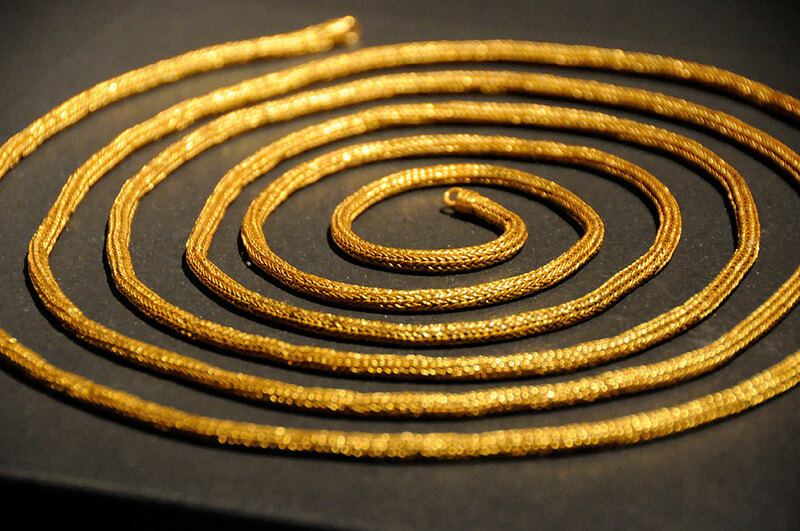 The initial excavation took 15 years and gave the world a glimpse of what daily life was like 2,000 years ago. 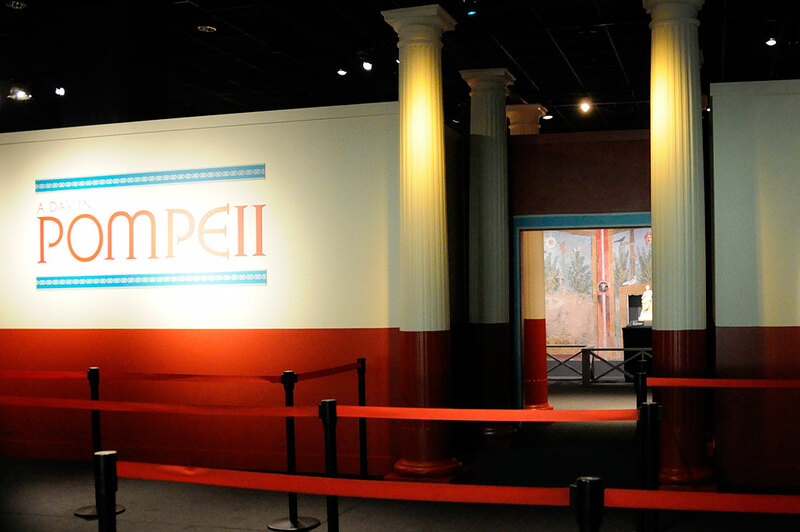 Starting this weekend, Bostonians will have an opportunity to step back in time and take a first-hand look thanks to the Museum Of Science’s new exhibit A Day In Pompeii. This amazing exhibition is presented in partnership with Soprintendenza Speciale per i Beni Archeologici di Napoli e Pompei (SANP). RainyDayMagazine got a FirstLook at it last night and it is not to be missed. The exhibit opens this Sunday, and closes February 12, 2012. A Day In Pompeii features over 250 priceless artifacts including: 13 wall-sized frescoes, bronze and marble household items, statues, gold coins and jewelry, and other incredible examples of ancient Roman craftsmanship, artistry, science, and engineering. One of the most powerful sections of the exhibit is the one containing the molds of the citizens and animals in their final moments. A Day In Pompeii includes at least ten casts made of polyester resin from the original molds made by Archaeologist Giuseppe Fiorelli. Fiorelli oversaw the excavation of the city from 1860 to 1875. He realized that the cavities in the hardened ash were actually made by the bodies of people and animals who had been smothered by it. While the organic materials had long since disintergrated, it had left behind a three dimensional impression. Fiorelli and his team poured liquid plaster into these voids, creating incredibly detained casts of people in their last moments. Most of its citizens of Herculaneum were evacuated before the blast, but those fleeing to the waterfront were killed by the superheated volcanic debris. The soft tissue of their bodies burned away, leaving only skeletal remains, which became the first Roman remains available for scientific study. After February 12, 2012, the exhibit will travel to Cincinnati Museum Center, followed by the Denver Museum of Nature & Science. 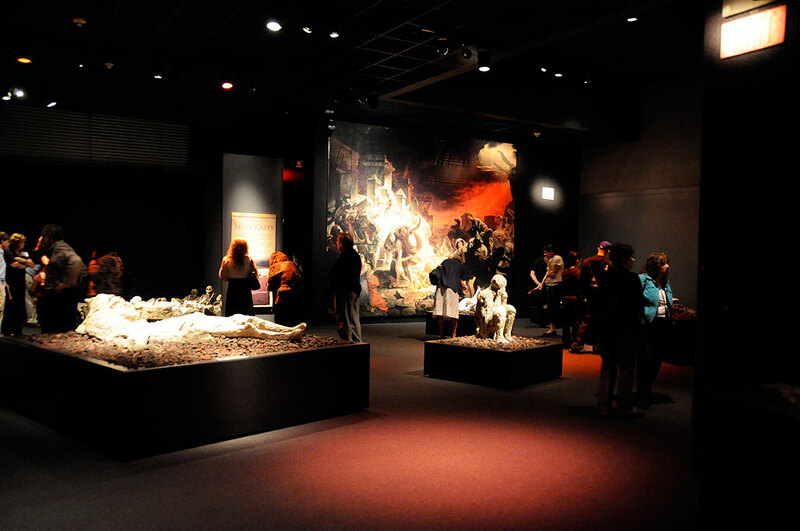 Admission to Pompeii will be by timed ticket only and will include a separate ticket for general Exhibit Halls admission that can be used on the same day or within six months. This is going to be a very popular exhibit and advance ticket reservation is highly recommended.